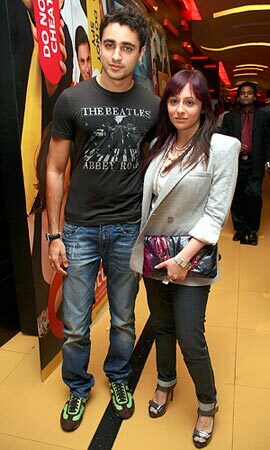 Imran Khan and his girlfriend Avantika pose during a visit to a multiplex in Mumbai on Thursday. Look who we spotted at Long Beach, California. It's none other than Mallika Sherawat. The actress was among the guests at the crowning of Miss India Globe 2009 held at the Hilton earlier this month. 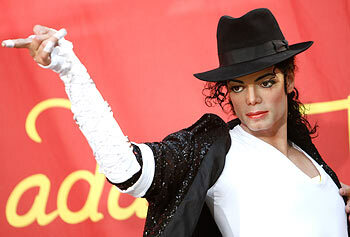 The wax figure of late pop star Michael Jackson was unveiled at Madame Tussauds in Hollywood on Thursday. 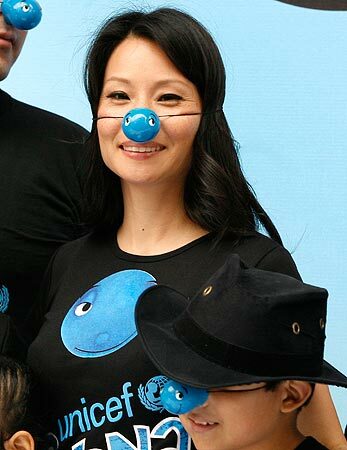 UNICEF Ambassador and actress Lucy Liu poses for pictures with a child during an event in Lima on Thursday. Liu is on a visit to Peru to take part in an UNICEF campaign focusing on children in Peru. Katrina Kaif meets Rediff winners!